Much of the artwork found at Hyde Hall are original to the home during the Clarke family’s tenure of ownership. An array of portraits, daguerreotypes, sculptures and more can be found among the collections here. 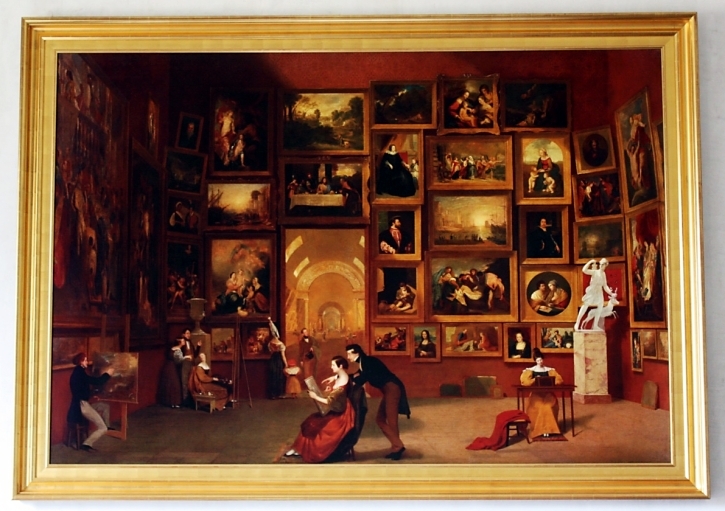 One of the most famous works is Samuel Morse’s Gallery of the Louvre (photo above), which was purchased by George Clarke (1768-1835) in September 1833. The painting hung at Hyde Hall until the late 1840s and is now in the collection of the Terra Foundation.